Are you in need of having a private power pole installation in Sydney? We are level 2 certified electricians and we can install your pole for you. Here at HP Electrical Contractor, we can help you with all of your electrical needs. We are a level 2 electrician servicing Fairfield, Liverpool, Wetherill Park & Western Sydney areas. If you currently have a pole it is your responsibility to make sure it is safe and properly maintained. You are also responsible for keeping any vegetation cut back so it doesn’t damage the pole or the overhead power lines. All vegetation needs to stay 0.5m away from your overhead power lines. We are also able to trim trees to meet these requirements. If an electrical inspector inspects your pole and deems it unsafe or faulty your electric service could be turned off immediately. If you have any of these defects contact our office for private power pole installation in Fairfield. We will do a thorough inspection of your poles. We can repair your electrical pole defects and other electrical defects. 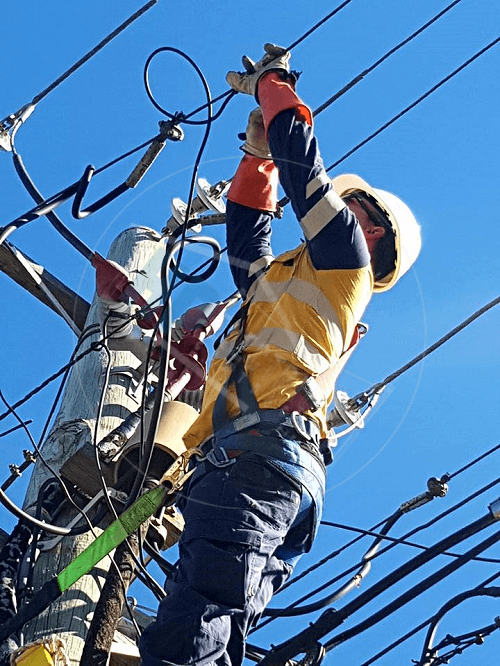 Since we are level 2 certified electricians we are able to provide private power pole installation Fairfield and replace existing power poles that are damaged, have defects or we can move them to another location. We are qualified to connect and disconnect any consumer mains that are attached to overhead service lines and underground service lines. We can replace service fuses and move the point of attachment. 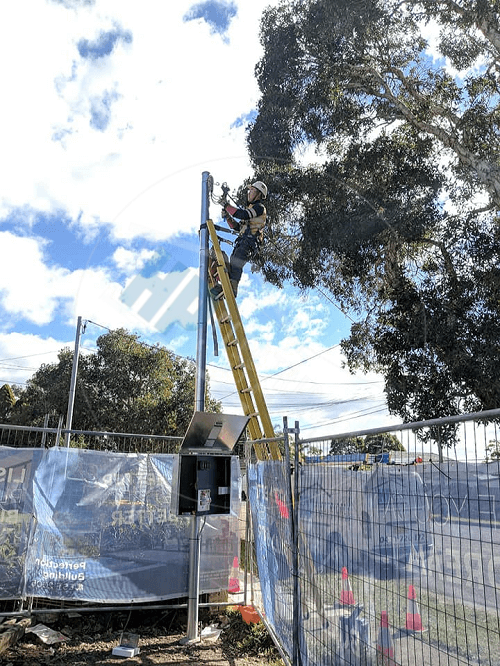 If required we are also able to provide you with a temporary private power pole installation Sydney and a temporary electrical service, including a switchboard with metering. We will install and remove the pole, lines and any necessary equipment needed to provide you with temporary power. There are two major types of poles to choose from. They each have their pros and cons. Let’s look at them here. Treated hardwood poles usually have a lifespan of 30+ years. This is longer than the lifespan of than galvanised steel poles. They are susceptible to termites and high moisture content which could drastically shorten their lifespan. If you are located in an area that has active termites or in a coastal region treated hardwood poles may not be the right choice for you. Most premises require a steel galvanised pole. Galvanised steel power poles have a shorter lifespan than treated wood and usually only last around 15 years. These types of poles are becoming popular because they are more aesthetically pleasing and can be painted to match their surroundings. Steel poles are susceptible to deterioration from rust and they need to be inspected on a regular basis. We are based in Fairfield East – South Western Sydney and provide services to builders and homeowners in all areas of the Sydney. Including Western Sydney, Liverpool, Blacktown and Fairfield NSW, in all aspects of level 2 services and electrical needs. Private power poles must always be installed by a qualified licensed electrician. 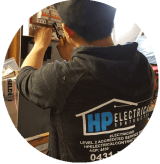 Here at HP Electrical Contractor, we are able to offer you this service. Being a level 2 certified electrician allows us to take care of all of your electrical needs. 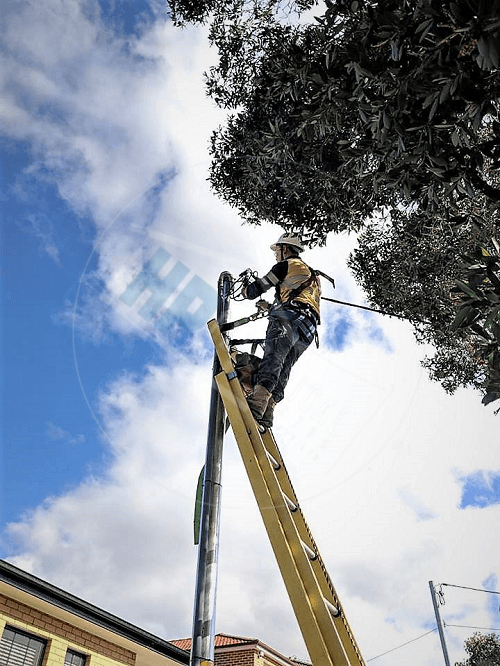 Contact us today on 0431720172 for your private power pole installation in Sydney.